The Systematic Investment Plan (SIP) is a simple and time honored investment strategy for accumulation of wealth in a disciplined manner over long term period. The plan aims at a better future for its investors as an SIP investor gets good rate of returns compared to a one time investor. A specific amount should be invested for a continuous period at regular intervals under this plan. 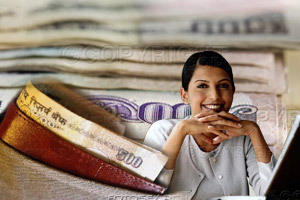 SIP is similar to a regular saving scheme like a recurring deposit. It is a method of investing a fixed sum regularly in a mutual fund. SIP allows the investor to buy units on a given date every month. The investor decides the amount and also the mutual fund scheme. SIP ensures averaging of rupee cost as consistent investment ensures that average cost per unit fits in the lower range of average market price. An investor can either give post dated cheques or ECS instruction and the investment will be made regularly in the mutual fund desired for the required amount. SIP generally starts at minimum amounts of Rs.1000/- per month and upper limit for using an ECS is Rs.25000/- per instruction. For instance, if one wishes to invest Rs.1, 00,000/- per month, then they need to do it on four different dates. It is easy to become a systematic investor. One needs to plan the saving effectively and set aside some amount of money every month for investment purposes in a fund that is ideally a diversified equity fund or balanced fund. Post dated cheques can be given to the fund house. The investor is at liberty to exit from the scheme depending on the market conditions. Power of compounding: The power of compounding underlines the essence of making money work if only invested at an early age. The longer one delays in investing, the greater the financial burden to meet desired goals. Saving a small sum of money regularly at an early age makes money work with greater power of compounding with significant impact on wealth accumulation. Rupee cost averaging: Timing the market consistency is a difficult task. Rupee cost averaging is an automatic market timing mechanism that eliminates the need to time one's investments. Here one need not worry about where share prices or interest are headed as investment of a regular sum is done at regular intervals; with fewer units being bought in a declining market and more units in a rising market. Although SIP does not guarantee profit, it can go a long way in minimizing the effects of investing in volatile markets. Convenience: SIP can be operated by simply providing post dated cheques with the completed enrolment form or give ECS instructions. The cheques can be banked on the specified dates and the units credited into the investor's account. The SIP facility is available in the Principal Income Fund, Monthly Income Plan, Child Benefit Fund, Balanced Fund, Index Fund, Growth Fund, Equity fund and Tax Savings Fund. Disciplined investing is vital to earning good returns over a longer time frame. Investors are saved the bother of identifying the ideal entry and exit points from volatile markets. SIP options such as equity, debt and balanced schemes offer a range of investment plans. While there is no entry load on SIP, investors face an exit load if the units are redeemed within a stipulated time frame. The success of your SIP hinges on the performance of your selected scheme.